Inferno Snowmobile racing clutches are thermo-dynamically designed to last longer than conventional racing clutches. They can be adjusted without removing chain. Quick change springs allow less time making adjustments and more time on the snow. Inferno clutches are track tested and proven winners. They are available in two models, The Flurry and The Blizzard. 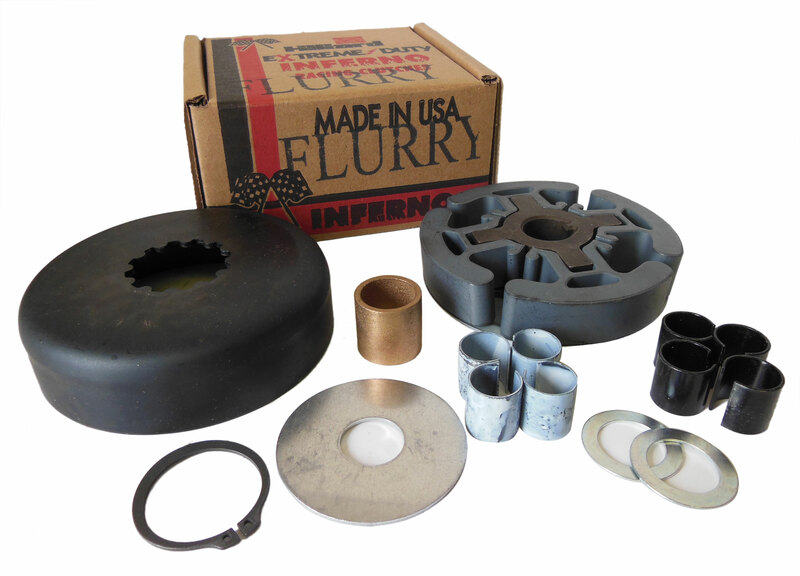 The Inferno Flurry is an economical clutch with hardened parts for durability. The Inferno Blizzard implements shoes with removable weights to fine tune performance. Different weight and spring combinations offer infinite tuning possibilities.